The first step in connecting Nimble CRM to 366 Degrees is to navigate to the 366 Degrees Portal Admin section on the left side of page under Portal Admin select "Manage Apps." Click Nimble CRM "Install App." Note: You can always find your 366 Activity URL for Nimble CRM by navigating to 366 Degrees "Manage Apps" section in the 366 Degrees Platform and clicking on "info button" on the Nimble App. 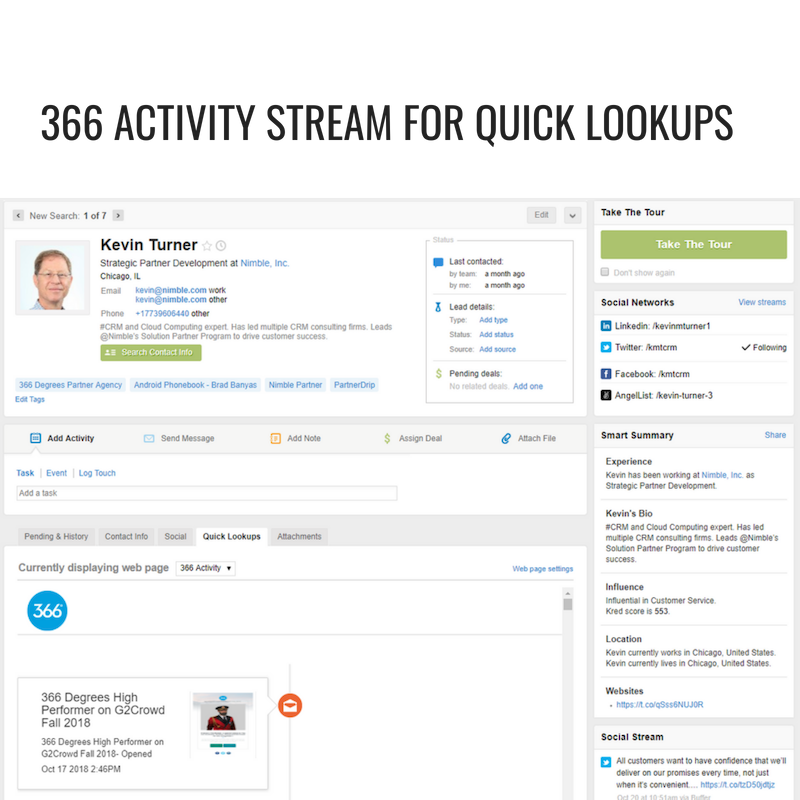 Now when on a contact in Nimble you can navigate to the Quick Lookup's tab on the Nimble record, select 366 Activity Drop Down to see your contacts 366 Degrees Activity Stream. 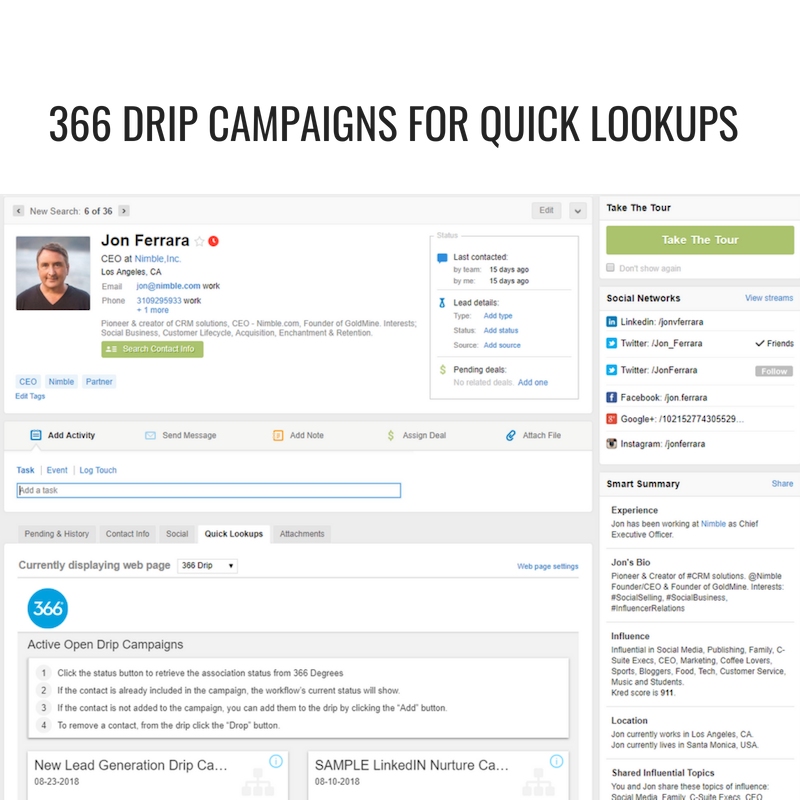 366 Degrees will share live interactions and engagement from your campaigns with Nimble in this area. 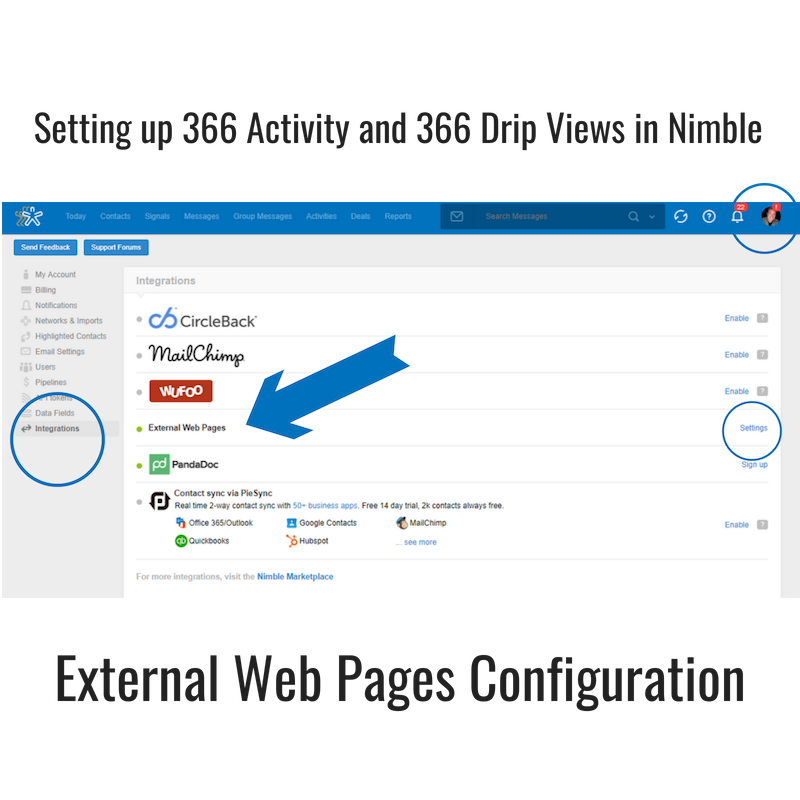 Note: You can always find your 366 Drip URL for Nimble CRM by navigating to 366 Degrees "Manage Apps" section in the 366 Degrees Platform and clicking on "info button" on the Nimble App.